If you’d like to hang out and chat with other members of the Maccast community during today’s live streaming of Apple’s 03.21.2016 ‘Let Us Loop You In’ live event, we’ve set up a live chat here. The official stream starts March 21st at 10 a.m. PDT, but we’ll be hanging out before hand, so feel free to come join us. The system is an IRC based chat and uses a Flash based embedded client (which may take some time to load), so it requires Flash to be installed. If you prefer, you can also connect using an IRC client of your choice to irc.geekshed.net port 6667. I use Textual 5 on my Mac and they have an iOS version available. The channel(room) to use is #themaccast. If you’d like to hang out and chat with other members of the Maccast community during today’s live streaming of Apple’s 10.16.2014 ‘It’s been way too long’ live event, we’ve set up a live chat here. The official stream starts March 9th at 10 a.m. PDT, but we’ll be hanging out before hand (and likely after), so feel free to come join us. The system is an IRC based chat and uses a Flash based embedded client (which may take some time to load), so it requires Flash to be installed. If you prefer, you can also connect using an IRC client of your choice to irc.geekshed.net port 6667. I use Colloquy on my Mac and they have an iOS version available. The channel(room) to use is #maccast. The official stream starts October 16th at 10 a.m. PDT, but we’ll be hanging out before hand (and likely after), so feel free to come join us. The event has ended. Please feel free to join us next time. If you’d like to hang out and chat with other members of the Maccast community during today’s live stremaing of Apple’s WWDC 2014 Keynote. If you’d like to hang out and chat with other members of the Maccast community during today’s event I’ve set up a live chat here. Join us for a live Maccast Skype chat starting at around 7:30 AM PT. We’ll have the conversation going until the end of Apple’s live September 2010 Music Event which starts today (09/01) at 10:00 AM PT. We are using Skype, so if you have Skype already installed, use the link below to join If you don’t have Skype you can download it and use it for free at Skype.com. The Skype room limit is 150, so it will still be first come first served. See you there. Apple is live streaming this one! For the first time in years Apple will be live video streaming an event. 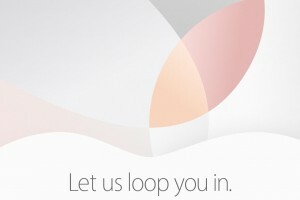 Watch apple.com for details. Windows Users: Looks like Skype removed the group chat feature as of version 4.0, so you’ll have to be on a Mac for this to work. Sorry. Maccast ‘Apple’s September 2010 Music Event’ Live Chat hosted by themaccast. Chat about what’s on your mind. Join us for a live Maccast Skype chat starting at around 7:30 AM PT. We’ll have the conversation going until the end of Apple’s live iPhone 4 press event which starts today (07/16) at 10:00 AM PT. We are using Skype, so if you have Skype already installed, use the link below to join If you don’t have Skype you can download it and use it for free at Skype.com. The Skype room limit is 150, so it will still be first come first served. See you there. Maccast ‘Apple iPhone 4 Press Event’ Live Chat hosted by themaccast.